If my commentary on Psalm 50 for the Festival of the Transfiguration (three days ago) is correct, everything hinges on Nathan’s oracle calling David and us to see ourselves as others see us -- indeed, as God sees us. “You are the man.” “You are the woman.” We are David. We are Israel (2 Samuel 12:7). Psalm 50 condemned Israel for the blatant abuse of the sacrificial system to try to buy off God, and now David -- representing Israel in his royal person -- has heard at last and turns to God for renewal. Maybe we can too. 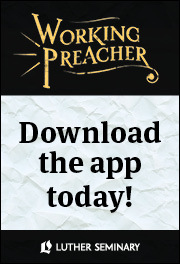 The preacher can help us do that. The Transfiguration story proclaims that, in Jesus, the full glory of God is revealed. But Psalm 50 reminds us that the glory of God not only saves, it burns -- to ashes. Thus, the need for Ash Wednesday. Both Psalm 50 and Psalm 51 condemn false sacrifice, but Psalm 51 goes further. For the kind of sin exemplified by David’s abuse of power -- the thoughtless use of another to satisfy one’s own desires -- no sacrifice will do. We are left powerless. There is no “means” of grace that we can exercise here. Only God’s own cleansing will suffice. And we might want to be prepared for something even stronger than “Grandma’s Lye Soap” (it’s an old song, but you can still buy it!). Dear God, says David, that’s me God’s talking about! That’s Israel. That’s all of us. And there will be no business-as-usual view of life and worship that can deliver us. Now, we will need to start over -- simply and completely to begin again. We need nothing less than new creation (Psalm 51:10). We need the rebirth of the Holy Spirit (v. 11). We need to be shut down and rebooted. This program has stalled, so please “end task” and start again. Well, we might be able to do that in Microsoft Word, but not with the almighty Word. We can’t begin anew; but God can. And that’s the promise that awaits us through the mercy of God. It should be said that the new beginning promised here for historical Israel will entail the end of worship as usual because it will entail the destruction of the temple. The Deuteronomists knew full well that Israel had painted itself into a corner, and there was no way out. As we sing Psalm 51, we put ourselves in the same place: “I know my transgressions, and my sin is ever before me” (v. 3). We are not talking about peccadillos here, about taking another’s parking place or failure to sit up straight at the table. We’re not talking about wallowing in some vague feeling of guilt. God has, in effect, just rattled off the whole Decalogue (Psalm 50:16-21) and declared us “wicked” (or guilty). Back to the Deuteronomists (the teachers of Isaiah and Jesus): we have failed to care for the widows and orphans, to free the oppressed, to welcome the stranger. We have failed to understand that the purpose of the law is life (Deuteronomy 30:19), that it is ourselves we are killing here. “I came that [you] may have life, and have it abundantly” (John 10:10). Nothing less than this is the promise God offers. Don’t throw it away in the pursuit of momentary pleasure. David abused the privilege of the rooftop. He saw what he wanted, and he took it, because he could. He was sure no one was watching. But God was watching, from a higher “rooftop,” and now, through the gift of the narrator, so are we. We see David as Nathan will eventually enable David to see himself. Worse, in David, through Nathan, we see ourselves. That’s the gift of biblical narrative and biblical poetry. In retelling, rehearing, resinging the story, we come to know God and to know ourselves. And then we are sent to the ashes for the gift of renewal. For us, as for David, renewal comes, as God has promised. 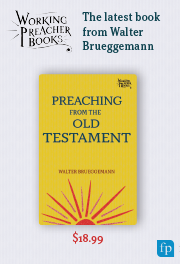 “Life can begin again” is the title of Helmut Thielicke’s collection of sermons on the Sermon on the Mount.2 It is the promise of Psalm 51, of Ash Wednesday, and of all preaching. 1 Robert Lowry, “My Life Flows On in Endless Song,” in, for example, Evangelical Lutheran Worship #763. Discussion on texts for Ash Wednesday (Feb. 18, 2015): (Gospel) Matthew 6:1-6, 16-21; (1st Reading) Joel 2:1-2, 12-17 (Alt. 1st Reading) Isaiah 58:1-12; Psalm 51:1-17; (2nd Reading) 2 Corinthians 5:20b--6:10. "Ash Wednesday Symbols" by MTSOfan via Flickr; licensed under CC BY-NC-SA 2.0.